Cyclone Idai churned through Mozambique Friday, March 15, leaving destruction and death in its path. In Espungabera, the eye of the storm, it hit at around 2 a.m. Jennifer Jacobs was in the midst of the storm. Jacobs is originally from Basin and is a missionary through African Inland Mission (AIM). 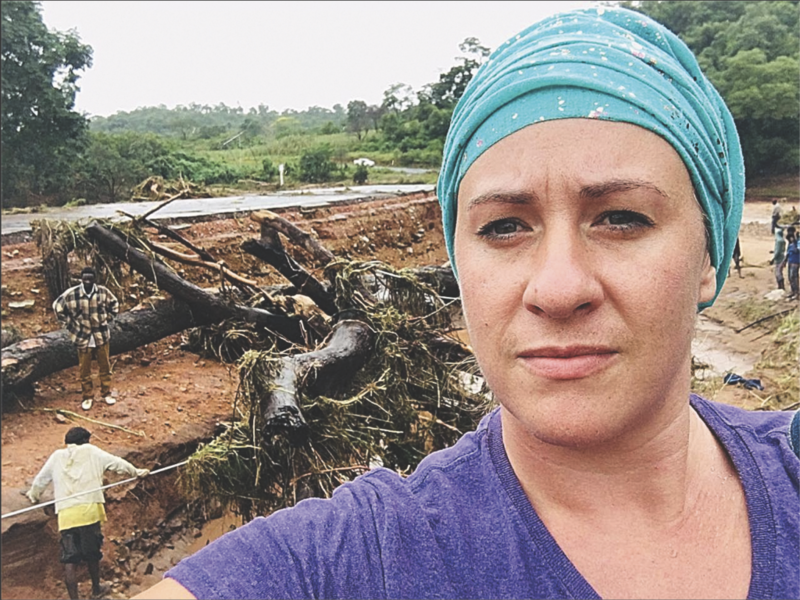 Jennifer Jacobs and the Mozambican people cleaning up after the storm. The home she lives in is made with brick covered with concrete plaster with roofs that are only tin sheets. She said the water seeped through and was falling down along the walls and the windows. There was the initial shock and force as the cyclone hit, but now there is the aftermath and the cleanup. Jacobs said they are entering a different wave with sickness, as well. They have had outbreaks of cholera, typhoid fever and malaria. There are also sicknesses associated with bodies floating on the water, which includes dead animals. Jacobs said the reported number of deaths is at 500, but there are many more. This includes Beira, which was hit the worst because it took the brunt of the storm. In Dombe, Jacobs said they had to open a mass grave. Fifty-seven bodies were floating on the river and more were coming, she added. The river swelled to where it took out the bridge where Jacobs is residing. “The death toll still is rising everyday,” she said. Jacobs said they are finding more bodies. The worst part now is that the bodies are unrecognizable from decomposition. She noted that they are having a hard time finding places to bury people. This is due to areas still being under water. The worst damage was not the buildings. The people in the region are very poor and have no jobs to sustain themselves. The only means they have for survival is the corn they plant. Jacobs said they had planted their cornfields for this year and were waiting for the harvest. Everything they planted from last year has been eaten, she added. When the cyclone came through, the harvest for this year was completely demolished. 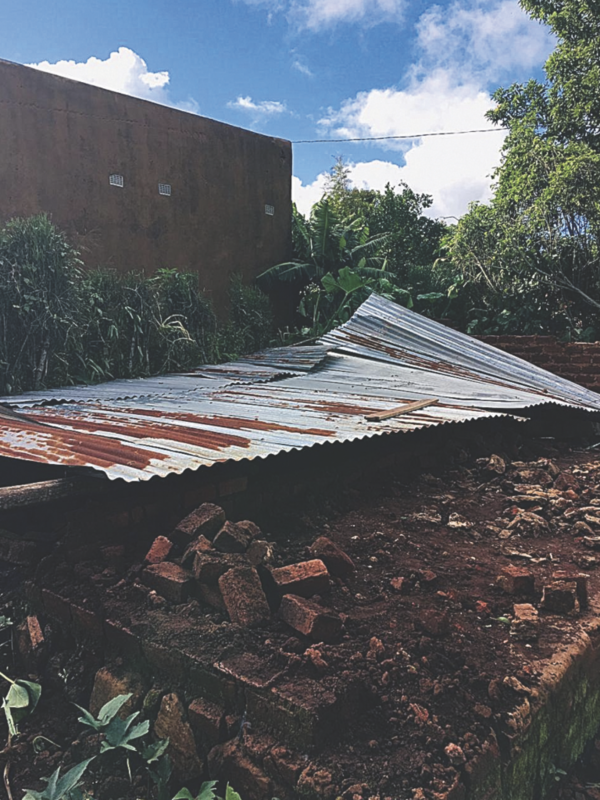 The remnants of a home in Espungabera can be seen after Cyclone Idai. Jacobs said that it’s horrible to think that people will be starving to death. In regards to other damages in Espungabera, Jacobs said that they had huge eucalyptus trees that were uprooted from the storm. She said there were two little shops that lost their roofs. All of the corn, rice and other items in the shop were destroyed by water. They have been without power since the storm hit. Jacobs said they would probably not have electricity for two months. This means there will be no water, as well, because they need electricity to have water. There is a generator at the hospital, but Jacobs said it is not working well. As for Isaac and Lauveness, Jacobs said they are doing good. This couple is a fruit from Jacobs’ ministry. The couple had a miracle during the big storm. Jacobs said the river swelled but it stopped 50 yards from their home. This same river took out hundreds of people. Jacobs said that it took out entire families at once. “Isaac has really been out in the community helping,” she said. They were informed that another pastor, Joachim, hadn’t eaten in four days. Pastor Joachim is about 30 miles away from Isaac. “They are suffering,” said Jacobs. Right now, Jacobs said they are organizing their town and helping with the relief. In Espungabera, 61 people lost everything. This town has a hospital and a jail with patients and inmates. They are trying to help provide food to these places. 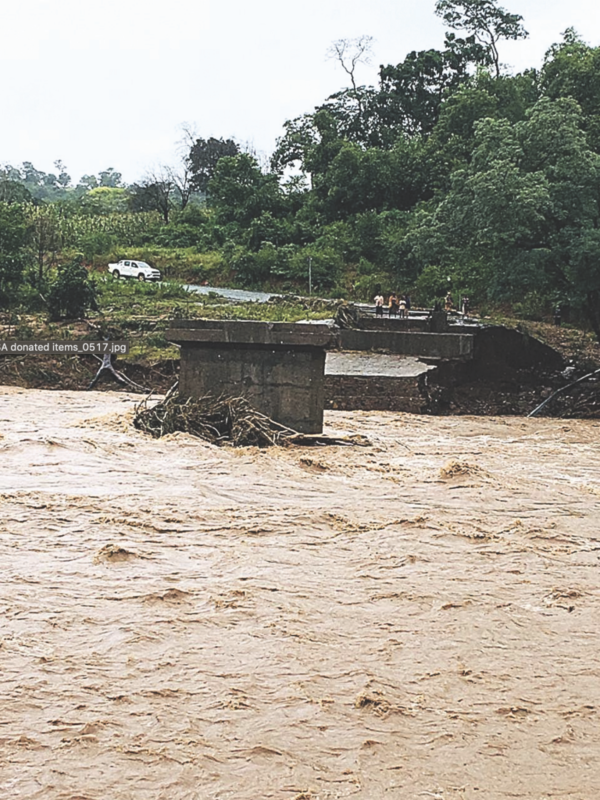 The remaining support of the bridge over the Buzi River was swept away during the storm. Mercy Air came for the first time on March 27 to try out their makeshift bush airway. Jacobs, the town administrator, and several people created this airway from a field. She said the airline has made three trips now with food. They are working on getting that distributed. The airline is going to be making frequent trips. Jacobs is hoping that they can start getting a stock of food created soon. They have been making makeshift bridges, as well. She said they are completely cut off and on their own island. Their roads were destroyed by the storm. Jacobs said they are also working to get helicopters and planes out in the bush where they work to get food to those people, as well. There are ways people can donate to help with the relief in Mozambique. AIM has a link on their website that people can click on that will take them to where they can donate. She said that he is sustaining them every day. She gives praise, glory and honor to Jesus Christ in this situation. “I don’t have to, I get to,” she added. She said it breaks her heart. It made her step back and realize that she really has it good. She added that it’s hard when the people are poor and struggling and get hit with devastation like this. In the midst of it all, she said she can see good and how the Lord can turn around and use this tragedy for his glory. What is AIM? Looked for it on the web but didn’t find anything associated with this.